New York is a huge, bustling city, and it can often seem that there are as many unique laws and regulations as there are people, especially when it comes to renting, buying, and moving between apartments. Before you decide to move, or begin to plan your move in New York City, here are a few important rules to know. 1. Parking Regulations. For the most part, if you hire a moving company in New York, your movers should be familiar with the general parking laws in the city, and where they can legally and permissibly load and unload a truck. However, to be sure all bases are covered, it doesn’t hurt to do some research on the moving restrictions in your neighborhood, brief your movers on street signs and rules, and suggest a convenient and legal spot to park. It’s also a good idea to review the New York City Department of Transportation’s guide to parking a commercial vehicle. 2. Street Cleaning Laws. Street cleaning is a reality in many New York City neighborhoods, and forgetting to familiarize yourself with the policy in your neighborhood could lead to a frustrating (and expensive!) experience if your car (or the moving van!) gets ticketed or towed due to parking violations during street cleaning. NYC DOT also provides helpful information on parking during street cleaning here. 3. USDOT Numbers. Before you decide to hire a moving company in New York City, be sure you check the company’s USDOT number. All moving companies operating trucks are required to have one, and checking that the company is registered with the DOT is a good way to help protect yourself and ensure you’re hiring a reputable company. 4. Buyout Rules. Given the competitiveness of the New York City rental market, landlord buyout offers are a common practice, especially to tenants in rent-stabilized apartments. If you’re feeling pressured from your landlord to take a buyout and leave a rent-controlled apartment, know that the law is on your side. Mayor DeBlasio signed a law last fall that prohibits landlords in New York City from pressuring tenants to take a buyout. 5. Breaking a Lease. If you’re considering breaking a lease to move in New York, know that you do have options besides paying for the remainder of your lease term. According to New York Law, if you can find a new, qualified tenant to take over your lease, your landlord must release you from your responsibility for it, or provide a written argument for turning down the new tenant within 30 days. You also have the legal right to sublet your place if you live in a building with four or more apartments. Planning a move in or around New York City? 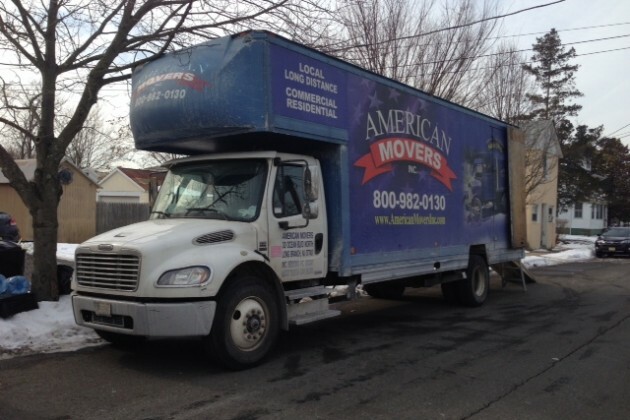 Get in touch with American Movers for a free quote today.